Ideal for small functions, The Abernathy’s 300-square-foot Hospitality Suite is well-suited for private parties and welcome receptions for up to 15 guests. 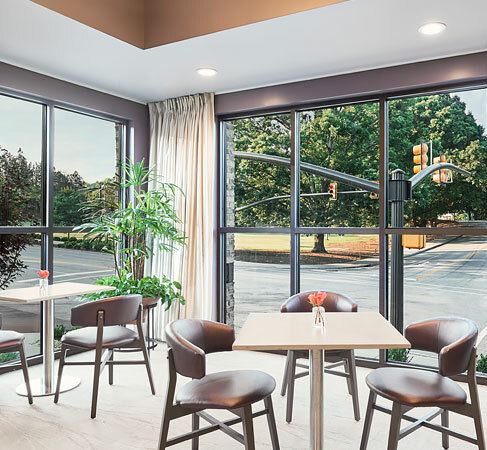 Located just off the lobby, the Hospitality Suite radiates the warmth and spirit of Clemson. A trio of stadium images spans one wall and “Clemson-themed” doors open to a comfortable seating area with enough space for impromptu meetings and video presentations on a flat-screen television. When not being used for private functions, this versatile space offers additional seating for the lobby and TAPS Bar & Café.